David Jaffe's new game will embrace his favorite parts of the F2P model. 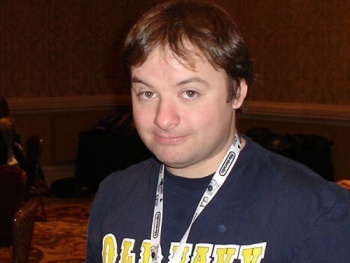 "I'm kind of divisive," said David Jaffe in a recent interview, which might just be the understatement of the week. The popular, controversial developer made his bones with titles like God of War and Twisted Metal, but recently decided that the AAA market was no longer for him. His new game will be a free-to-play, browser-based shooter, but that doesn't mean that Jaffe has embraced everything that the F2P model has to offer. Although he has significant concerns about the freemium price structure, he believes that a free game can offer a mechanically identical experience to a AAA title, just without flashy production values or exorbitant price tags. "I hate free-to-play but I love aspects of it," Jaffe explained. "I love the instant-on, I love the low to no barrier of entry to get all kinds of people to jump in and play, I love the fact that you're sitting there at lunch and can play for five minutes or you can get sucked in and play for three hours." While Jaffe conceded that AAA titles often have some of the best stories and spectacles in gaming, he saw no reason why free-to-play titles could not offer the same engaging core gameplay. These games have the capacity to be "90 to 95 percent as good or better - just in terms of game mechanics - as what I'm playing on next-gen."
Developing a pricing structure that Jaffe does not find personally distasteful, though, has proven challenging. "I hate how [F2P is] like the tail wagging the dog and it's the business model and all about getting people to pay [with more micro-transactions]," Jaffe lamented. "I'm not saying [the developers are] evil or they're lying - but one of the things they like to say is pay with your time or pay with your money." Since Jaffe's proposed title will be a browser-based shooter, he discussed the cons of F2P shooters in particular. If an online shooter uses a gradually slowing level system, players can either sink in a lot of time, which can make for a repetitive experience as the levels get farther apart. Alternatively, a player can spend some money, which can make him or her too powerful too quickly and kill his or her interest. Ultimately, Jaffe remained undecided on how to price his new game. Kickstarter, he mentioned, might be the way to go, given Tim Schaefer's success on the platform. Granted, Jaffe described himself as "more polarizing than Tim Schafer," but sometimes a little controversy is all you need to stir up the crowds.